﻿White Chocolate Orange Dream Cookies | Rosetta Bakes! Beat butter and both sugars until creamy. Add egg, orange zest and extract and beat until creamy. Beat just until combined and stir in white chocolate chips until combined. Drop by rounded Tablespoons on an ungreased baking sheet. Bake 10 to 12 minutes, then remove from baking pan and cool on a wire rack. 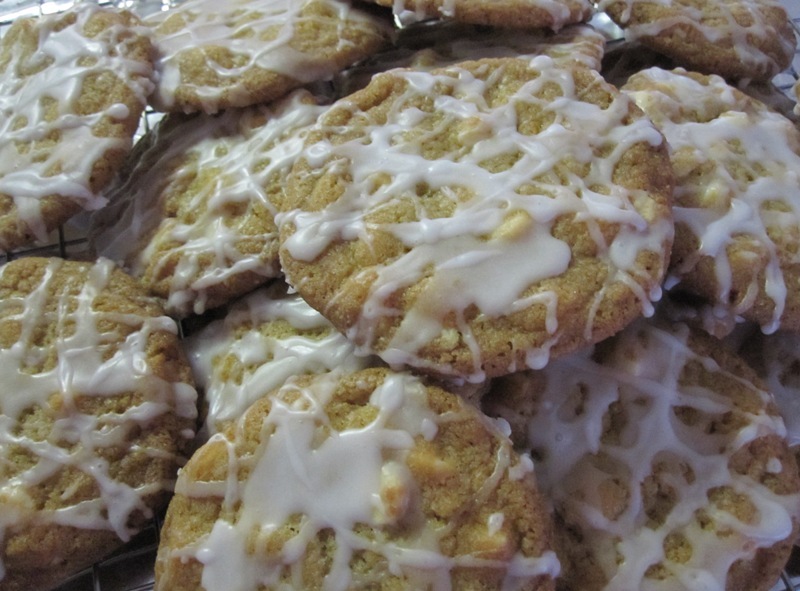 Drizzle melted white chocolate on cookies and let dry.